You'll be £10.99 closer to your next £10.00 credit when you purchase China and the West. What's this? Even before Chinese or Western writings recognized their great civilizations at either side of the compass, there was mercantile contact, with silk being coveted by the ancient Greeks and Romans without knowledge of its origin. At the fall of the Manchu Dynasty in the early twentieth century, when China began its modern restoration as a world power, China and the West had shared more than two millennia of history. Far from being a “sleeping dragon,” China was actively expanding its international influence at many times during this period, but the decay, corruption, and wars of the eighteenth and nineteenth centuries - with Western nations controlling and compromising Chinese interests and territory - have prejudiced the popular perception of relations between China and the West. 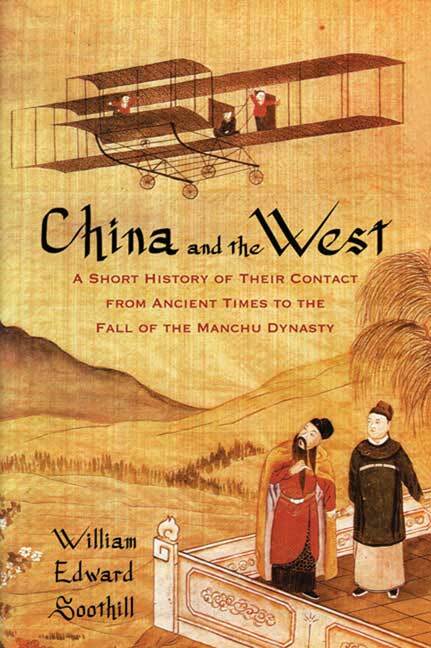 William Edward Soothill’s brief and authoritative history, first published in 1925, is a welcome introduction to the long and fascinating contact between East and West. Covering every period and key personality before the twentieth century, from General Chang Ch’ien, a Chinese envoy who traveled west during the second century B. C., to Marco Polo, the Mongol ascendancy, the opening of sea routes, and the Opium War, and based on primary source material, China and the West is essential reading for any person interested in understanding China and Chinese culture. The book in itself contains some very interesting detail about China's interaction with the outside world, and the West in particular.